3. URL of spoof website disguised as https://signin.ebay.com/ws2/eBayISAPI.dll?SignIn&UsingSSL=1. This looks secure but is NOT!
" 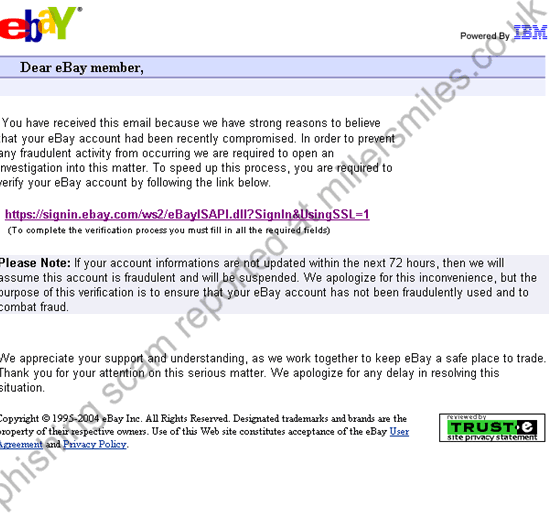 You have received this email because we have strong reasons to believe that your eBay account had been recently compromised. "